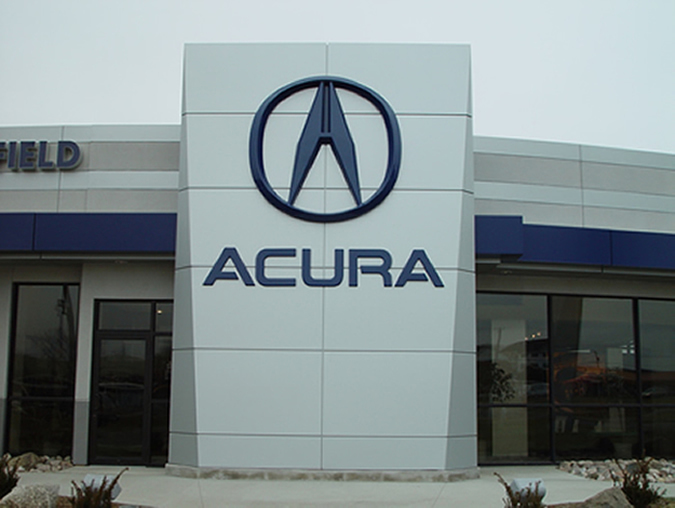 Architect: Groth & Smies Architects Ltd.
Acura is updating their car dealership with a new exterior design which uses Sobotec's pressure equalized rain screen product for the composite material. 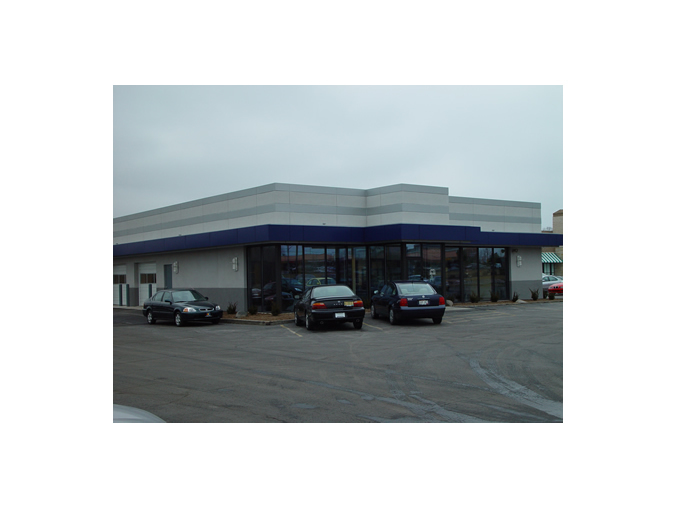 The first project in the USA was recently completed. 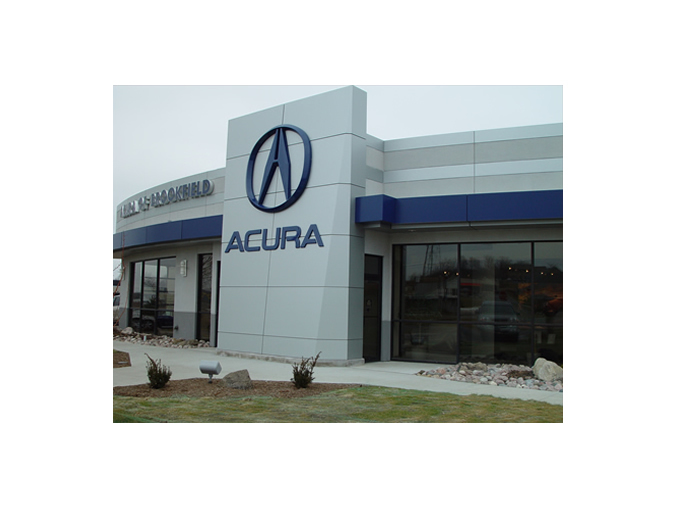 The new look as a 26' x 12' tapered ICON in the center of the exterior entrance and canopies extending out from both sides. 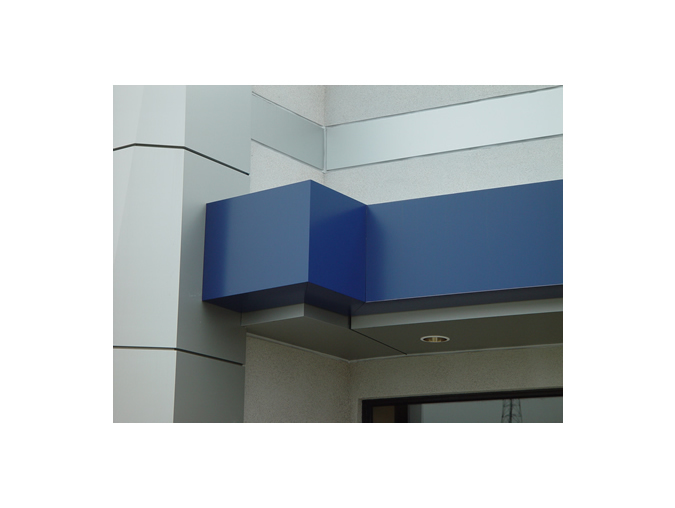 These areas have a dry side joint which provides a crisp clean appearance. Tyvek was used as an air barrier over 1/2" plywood. 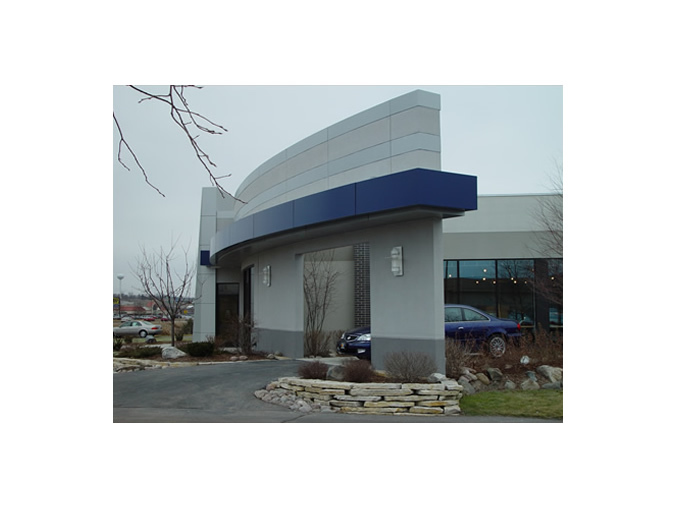 EIFS bands were introduced above the canopy where a wet seal was used to join the two systems.